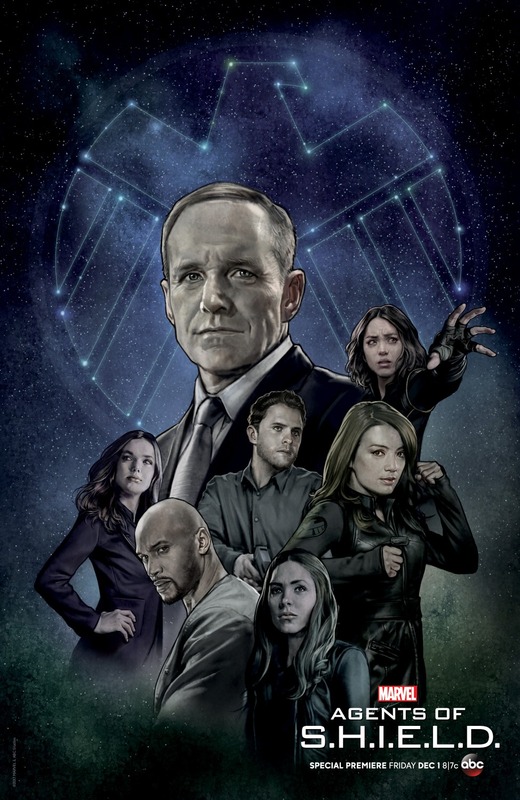 At New York Comic Con 2017, ABC and Marvel released this fantastic new one sheet poster for Agents of SHIELD Season 5 featuring the show’s entire cast. I love that they turned the SHILED logo into a constellation to symbolize Coulson’s trip to space. It’s also exciting to see Yo-Yo officially graduate to be a primary team member by finally getting featured in some of the series’ marketing materials. Agents of SHIELD will premiere on Friday, December 1st, at 8/7c on ABC.